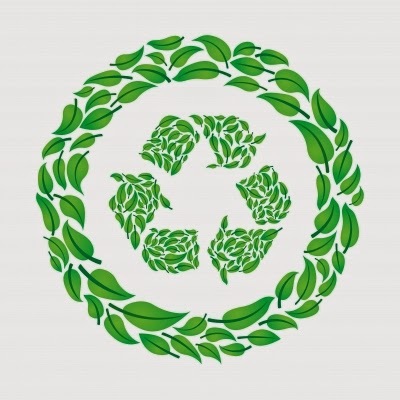 Books, Bargains, Blessings: Reduce, Reuse, Recyle on Earth Day and Everyday! Reduce, Reuse, Recyle on Earth Day and Everyday! I have recently upgraded to an iPhone through U.S. Cellular. It's a fantastic phone, and I'm so happy that U.S. Cellular finally started selling the iPhone last year. I've been an Apple girl for a few years, and it felt awkward to have my computer and tablet on one system, and my phone on another. Now everything all works on the same platform! It's so much easier to transfer photos to my computer, and I didn't even have the learning curve that often is associated with a new phone. It takes great photos and I couldn't be happier with it! One thing U.S. Cellular has started is their Trade in Program. You can trade in your old device for cash. Who doesn't have old cell phones and electronics sitting around? I know I did! All you need to do is check out the link, fill out a few details on your device, accept the offer and ship it off -- and they even pay postage! So quick and easy -- and extra money in your pocket! What's not to love? Because it is April, I want to highlight a few ways I use my phone to keep the earth a greener place. One app I highly recommend is Freecyle and Trash Nothing. While Freecycle has been around for some time, it's even easier on your phone. I have given away a chair, an unworking refrigerator, a 1970s typewriter, and more! I have received used Christmas cards (I make postcards from the front) as well as the the same chair I gave away later when it was no longer needed. I know someone who often gets old computers, fixes them and gives them to inner city children who otherwise wouldn't have access to a computer! Recyclebank is a site I've used for years. There's lots of great information on it. I just took a quiz on if my freezer is running effeciently and did you know that if you keep it filled, it can cut down on energy used and you can even use newspapers and packing peanuts to help keep it filled if you don't have enough stored in there for it to be filled up! Just by using Recyclebank, you earn points you can redeem for rewards. I've gotten magazine subscriptions there in the past as well as printable coupons. I'm always wishing I knew a place to recycle certain items. 1800Recycle tells me where there is recycling for different items in my area. No more wondering where accepts newspapers or electronics, it's all right here! Another app I like is one for my favorite gas station. I know that sounds like an odd one to include in a Reduce, Reuse, Recycle post, but I drive a hybrid car and I know what my miles per gallon are each trip. Obviously I prefer to fill the car where I get the best gas mileage to reduce gasoline used! Also, I have a refillable mug for 100 ounces. I can fill that with soda for under $1 or self-serve coffee for under $1.50. This is great when on road trips, just pull out my iPhone and I can find the station nearest me! This is just another great idea on how to make your phone work at keeping your eco-footprint lower. What are your favorite apps for helping the planet? They can be ones that are specifically for that purpose, or something a little more unconventional like how I use my gas station app to help the environment! The trade in program sounds great. I didn't know you could trade in old things for cash. Maybe i could convince my husband to get rid of all his old phones. This sounds great, and it's really awesome for the planet. I love my iPod touch, but I wouldn't mind trying out an iPhone either! I swear we have so many old cellular devices laying around! This has me considering switching to US Cellular! I am a new reader of your blog, but I already love it! I so love these apps you are going to convince me to get a smart phone!!! I recently started going through my stash of various kinds and have bags and bags, I've been scratching my head what to do with it, where to donate, etc. Great apps!